Cloud computing has become an area of interest for both large and small businesses over the past few years. Cloud computing is the practice of using a network of remote servers hosted on the Internet to store, manage, and process data, rather than a local server or a personal computer. While the term “cloud computing” may be new, the concept is not. With cloud computing, the server still exists – it is just no longer physically located in the office. Instead, the server is located somewhere in a datacenter and usually shared with millions of other users or tenants. It is accessible through the Internet, or in other words, it lives “in the cloud.” Cloud computing offers a key advantage that its antiquated predecessor was unable to match: accessibility. With cloud computing, your network is accessible anywhere you have Internet access. Regardless of the physical device being used, cloud computing ensures access to the network. For example, Google Docs exemplifies cloud computing in action. When you use Google Docs, you can access a single document across multiple devices, accounts and internet connection points. The era of being tethered to a work computer is over. As many new startups companies build systems and platforms on the Internet, the term “born in the cloud” is emerging. 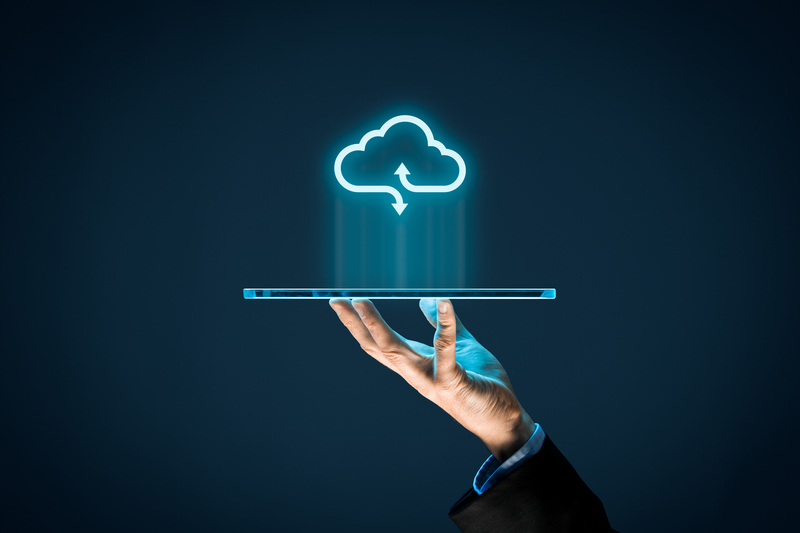 Cloud computing is an attractive option for large and small businesses alike, but this holds particularly true for small companies and startups. Building your information and communication systems for your business no longer requires a significant capital outlay in physical equipment. With a range of software as a service (SasS) vendors to choose from, entire business infrastructures can be built, and operational, within a short period. Cloud computing Saas is a wholly scalable solution which offers businesses unmatched flexibility. Cloud computing is a variable cost, meaning the price is a function of a business’s unique usage needs. Often, cloud computing is designed to be pay-as-you-go: based on the amount of storage space and computing power you require, your costs change. Businesses that have inherited networks stored on physical systems, rather than on the cloud, face unique challenges. While technical and organizational challenges vary across situations, they typically can fall into one of two categories: technical difficulties with system integration, and organizational inertia. Technical difficulties usually relate to “a communication breakdown.” The transition between old networks stored on office servers and new networks stored on the cloud is often difficult, as the old and new systems rarely “speak the same language.” Considerable time, work and expense are required to make these two different systems understand each other, and may require complete system migration or custom hybrid connections between the old and new applications. The second challenge that businesses with established network systems often face is organizational inertia. Part of what makes it more complicated for businesses with old network systems to adopt cloud computing systems is expectations. Employees are used to having their in-house systems functioning in a certain way and switching to a new system can be an exercise in change management, training, and shifting expectations. Scout Technology Guides has experience guiding organizations through the process of cloud computing. Reach out to Matt, CEO and Founder of Scout, to learn more. Comparatively, low capital expenditure is central to cloud computing value proposition. Building and storing systems on the cloud significantly reduce the financial investment in hardware. On the balance sheet, “property, plant, and equipment” are referred to as fixed assets. Fixed assets cannot be easily be converted into cash. There is a good reason the old business axiom “cash is king” is taken as truth. Companies that protect their liquidity, improve their flexibility. There are significant costs associated with maintaining an in-house network. Software and hardware upgrades, as well as IT support. In cloud computing, however, the cloud services provider (rather than the individual company) bears responsibility for these costs. For a monthly or annual fee, companies can gain access to these systems without worrying about ownership. Cloud computing is to renting a home, as physical network systems are to buying a home. In the SaaS cloud computing model, business owners gain more predictability in budgeting for these costs and maintain a degree of freedom to switch providers as their needs and resources change. With cloud computing, because you only pay for what you use, you have the flexibility to use what you need. This means if you are a small business in a start-up mode, you can start small. As the business grows, you can scale up your technology system to match your business needs. Cloud computing is quick to build and implement. Some cloud providers are set up to scale for your resource demands automatically. The infrastructure can typically be customized to your needs: companies can opt for a private network, public network, or a combination of both. Another aspect of cloud computing flexibility is that it supports multi-platform development environments. The beauty of cloud computing is that it’s easy. Cloud computing can streamline many parts of a business, improving efficiency. Your business can run more efficiently when you tap into web-based applications that are available in the cloud. Everything from prospect management applications to customer billing and invoicing can be moved out of your office and into the cloud. Cloud computing gives firms the ability to focus on what the business does best, and excel in that. When businesses turn to Saas, rather than in house functions, it outsources the lower priority or administrative functions. Regardless of where you are in the world, you can access your cloud-based applications. The only thing required is a device that can access the web and an Internet connection. This means your staff can have access anywhere and at any time, from home, office or on the road at a client’s office. Should a natural disaster strike your business, the good news is that your computing capability resides somewhere else. Obviously, this is a disadvantage if the disaster hits your cloud provider. Data security is one of the primary concerns related to cloud computing. In a very basic sense, the data that used to reside within the four walls of your facility now resides elsewhere. The security of that data must be understood and addressed, particularly if the data contains trade secrets, proprietary lists, customer files, etc. Adding to the concern are the results from a recent survey: 69% of cloud providers said that data security was the responsibility of the end-user. By contrast, only 35% of the end-users agreed that they should be responsible. There is a disparity between cloud providers and cloud users about who is responsible for data security. This means you need to have a clear and explicit breakdown of duties and responsibilities with your SaaS provider. Anyone purchasing cloud services should assume that their data is vulnerable to compromise. Going into it with that frame of mind sets the stage for proper measures to be taken right from the start. While many small businesses do not have the resources to adequately protect their data, even when it is in-house, a reasonably priced off-site solution may be right for certain applications. The key to navigating data security is asking the right questions of the provider, and getting good advice. Scout Technology Guides can help you with both. Redundancy refers to the reliability of your web-based applications that run in the cloud. A practical example of redundancy would be if the server your website is running on crashes, another server picks up where the other left off and your business keeps going. Many people mistakenly assume that because their applications are running “out there” on the Internet, there is built-in redundancy. A typical provider of cloud computing will have resources running on only one server. Better providers will have multiple servers. However, if those servers reside in one data center (which is typical) there is little to no redundancy built in. If a problem occurs at the data center that takes down your server (or servers), then your entire business can come crashing down with it. There are several recent examples of major companies being inoperative for an hour or several days. Victims of these server crashes have included Amazon, Microsoft, Google, Intuit and others. While cloud computing represents a strong low-cost option for small businesses, it can cost more money if a company’s website comes under a distributed denial of service (DDoS) attack. A distributed denial-of-service (DDoS) attack is a malicious attack which disrupts normal traffic of a targeted server by overwhelming the target (or its surrounding infrastructure) with a flood of Internet traffic. By consuming bandwidth and overwhelming the server, an entire network can be rendered unavailable to its intended users. If the cloud computing provider has no protection in place against DDoS attacks, when your business website is attacked, the provider will increase the resources allocated to the site (due to the attack), and bill for the resources provided. In order to avoid being presented with a large bill, it is important to ask the provider what kind of provisions they use to protect against DDoS attacks. In a cloud environment, your applications are running on servers that simultaneously provide resources to other businesses. As the requirements for the other users go up and down, the performance of your share of the resources will vary. Often, a cloud provider may claim that the resources available to you are unlimited. While this may be theoretically true, realistically hardware scalability is probably limited. You may not know exactly how scalable it is until you reach your usage limitation on their system. Cloud computing is a powerful, flexible and cost-effective tool. For many businesses, it is the way of the future. Scout Technology Guides are experts in building, managing and migrating IT infrastructure. If you would benefit from expertise and guidance in navigating cloud computing, start exploring with Scout today.